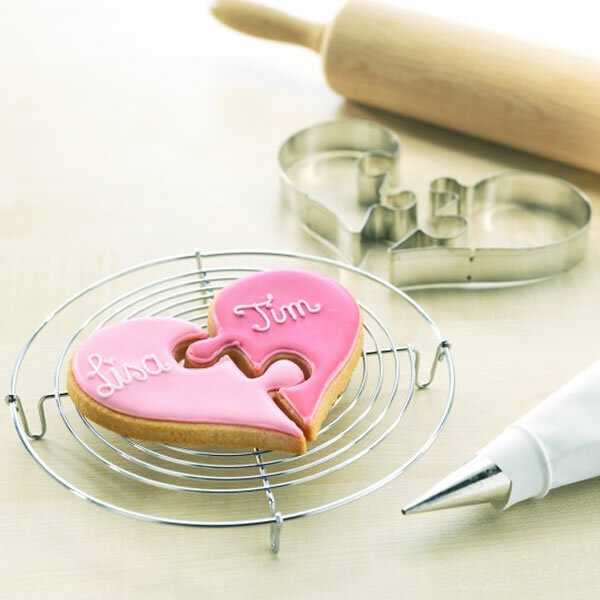 Adorable new cookie cutter set to make a one of a kind cookie for Valentine’s Day. This will be a fun baking project, (especially for kids! ), as you can personalize them to make them unique. Have fun – use icing writers to doodle names, messages, or drawings! 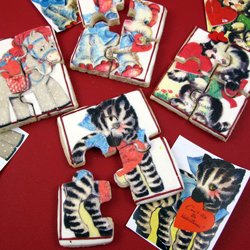 Puzzle cookies are easy to make and fun to give as treats to children. 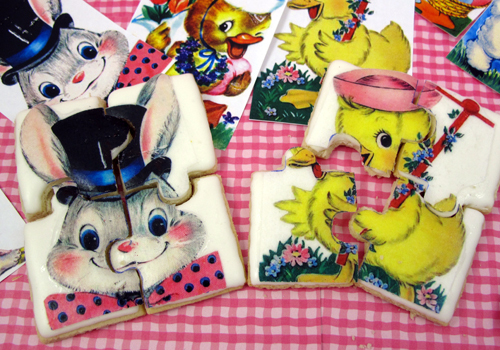 We made these puzzle cookies using our No Fail Sugar Cookie Recipe, which you can find under RECIPES at the bottom of our Home Page. Make the dough and cut out the heart puzzle shapes using the Heart Puzzle Cookie Cutters. NOTE: If you want the pieces to fit together- Leave each cut heart of dough positioned together to bake–do not separate the puzzle pieces. Immediately after the cookies are removed from the oven, use the Heart Puzzle Cutters to recut the puzzle pieces on each side of the heart. Gently wiggle the cutter when re-cutting the dough to make sure you have well cut pieces. Allow to cool.